I lovingly call this wedding my fairytale dream wedding. 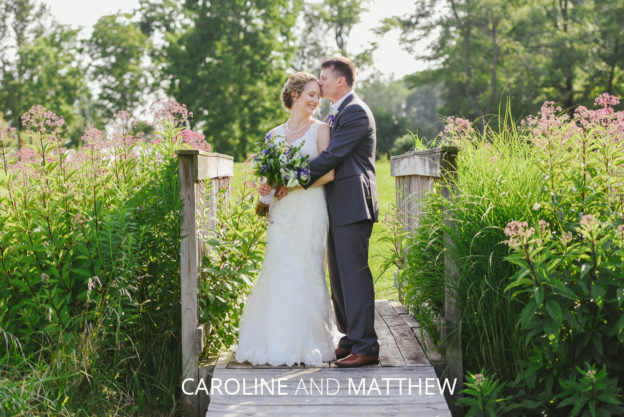 And for Caroline and Matthew, this was just one of their two wedding celebrations! Caroline is from England, so a couple of weeks after this, they ventured over the pond to celebrate with some more of their friends and family who couldn’t join them stateside. Caroline had a lot of friends and family who made the trip over, including a very pregnant maid of honor (I think she was 37 weeks!). I loved seeing their hats and fascinators, a tradition I wish you saw more of in the U.S.
Their ceremony took place at Worthington Presbyterian. In the summer, Worthington offers free community concerts on the lawn out in front of this church which my family and I attend, but I had never been inside. It has tall ceilings and an airy and happy vibe, as light spills in from the side windows. When their service was over, the two exited the church to a flurry of bubbles and smiles. From the church, we went over to their venue, Jorgenson Farms. I had never had the pleasure of shooting there before, and boy it didn’t disappoint. It was like walking into a storybook! 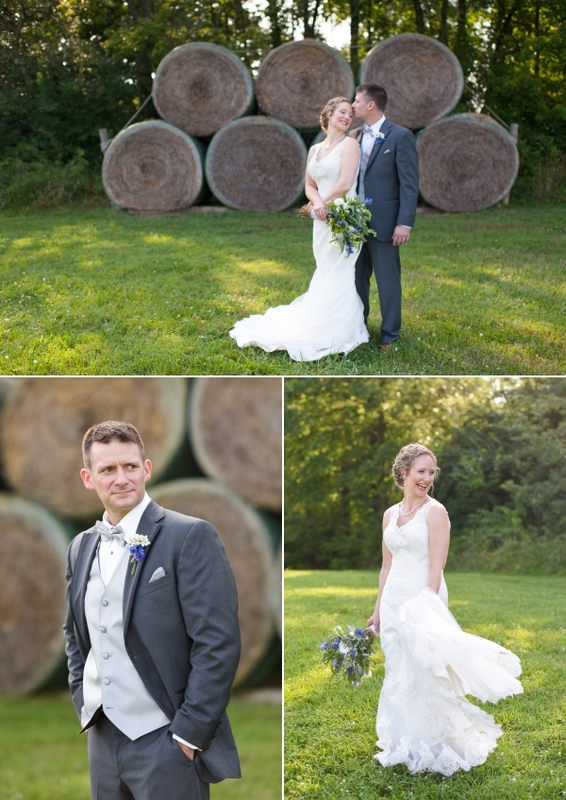 The grounds had soft rolling hills with hay bails stacked on one end, a large rustic barn that led to a venue space, and a quaint owners home complete with a back garden. The evening July sun mixed with the bright blue wedding colors were breathtakingly striking to photograph. Inside the reception, tables were adorned with candles, flowers and rustic lanterns. Cookies overflowed on plates in the corner (of course I would point that out, as I tried one of each flavor). My favorite part of the night was the speeches, especially the one that Carolin’s father gave. He was beaming about his daughter and you could just see how proud he was of her.